At Engravably Yours whatever it is that you may be looking for we try our very best to supply it. 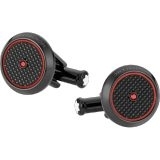 One of our more popular Montblanc items is cuff links! That’s right – our Montblanc cuff links are made from some of the finest materials in existence and are crafted in a multitude of ways. 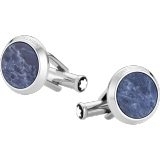 Whether you are looking for classic cuff links, contemporary cuff links, fine jewelry cuff links or silver cuff links, you will be able to find the perfect pair from our extensive list. 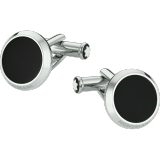 We offer over 100 styles of Montblanc cuff links and their sharp, classy look will have you coming back for more. 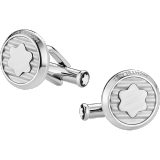 If you are interested in purchasing any of our products, whether it is a Montblanc Starwalker pen or a pair of our top of the line Montblanc cuff links, contact us today for more information!